Hemp is so versatile that it has around 25,000 known uses. In 5th century China, hemp was used as an early form of paper, and it was also used to make ropes and clothes. In medieval Italy and Germany, people used hemp for making delicious and nutritious pies and soups. During World War II, the US used hemp for their army’s uniforms, for their ropes, and for just about anything that would help win the war effort. The renewable resource was held back when the industrial age came about, and industries started using other forms of raw material, which later on were found to be destructive to the environment. But because concern for the environment is growing and the staggering lack of resources is quickly becoming very evident, hemp is making a comeback — and people are now recognising its many amazing benefits. Here are just a few of the wonderful uses of hemp fibre. Fabrics that contain at least 50 percent hemp have the ability to block UV rays better than other fabrics. Since hemp fabric also has longer, stronger, and more lustrous fibres than cotton, clothes made from this sustainable material are also more absorbent and mildew-resistant, making it the perfect fabric for summer wear and those who workout a lot. Hemp has also found its way to high fashion because of modern softening techniques that have enabled the fabric to be more suitable for dresses, suits, and gowns. Fashion designers like Giorgio Armani, Donatella Versace, Calvin Klein, and Yves Saint Laurent even combine fabrics that create hemp silk or use eco-friendly materials like bamboo with couture and ready-to-wear pieces. 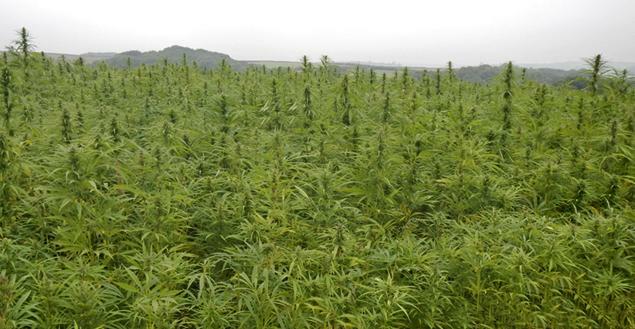 The hurds and long fibres of hemp can be processed and used with modern technology for construction. With strong demand for renewable resources, the construction industry now uses hemp fibres to reinforce plastics, for insulation, for geotextile, as growth media, and to increase compressive strengths, reduce shrinkage, and cracking of concrete. Hemp concrete products are non-flammable, resistant to termites and rodents, and perfect for cyclone- and earthquake-prone locations. Spun and woven, hemp fibres can make for beautiful home furnishings and floor coverings. Because the material is strong and durable, you can expect to get more years out of your hemp carpet, hemp pillows, and hemp chairs and sofas. Paper made from hemp is acid-free. It doesn’t become brittle or yellow or break down over time in comparison to ordinary paper. Since hemp also produces more pulp per acre than timbre, can regenerate in a matter of months, and can be recycled more times than wood-based paper, hemp is also a sustainable option for making good quality paper.